Fast Times at Ridgemont High is a comedy written by Cameron Crowe, who adapted it from his own book, and directed by Amy Heckerling. 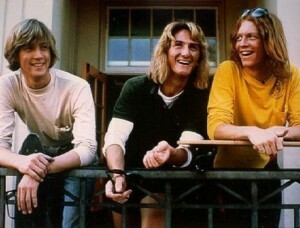 The film is set at the fictional Ridgemont High School and follows several characters over the course of one academic year. 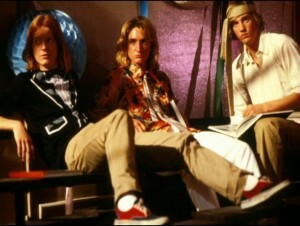 Fast Times opened in a limited release in August 1982 and went on to become the 29th US release in 1982. Cameron Crowe was nominated for a WGA Award for Best Comedy Adapted from Another Medium. In June 2000, the American Film Institute ranked the film #87 on the AFI’s 100 Years… 100 Laughs list. In 2005, it was selected for preservation in the United States National Film Registry by the Library of Congress as being “culturally, historically, or aesthetically significant”. The film was first released on DVD as part of the Campus Comedy Classics collection in December 1999 and has had several re-releases and special editions since. The Blu-ray is available for pre-ordering on Amazon and will be released on August 9, 2011. The center of this ensemble film is Jennifer Jason Leigh as Stacy Hamilton. She is a young, innocent high-school student who, as the film opens, is asking for advice from her friend, the sexually outspoken Linda Barrett (Phoebe Cates). Stacy takes a liking to nebbish Mark Ratner (Brian Backer), but he is too afraid to make a move even after Stacy all but throws herself at him. She eventually hooks up with Mark’s more confident best friend, Mike Damone (Robert Romanus). 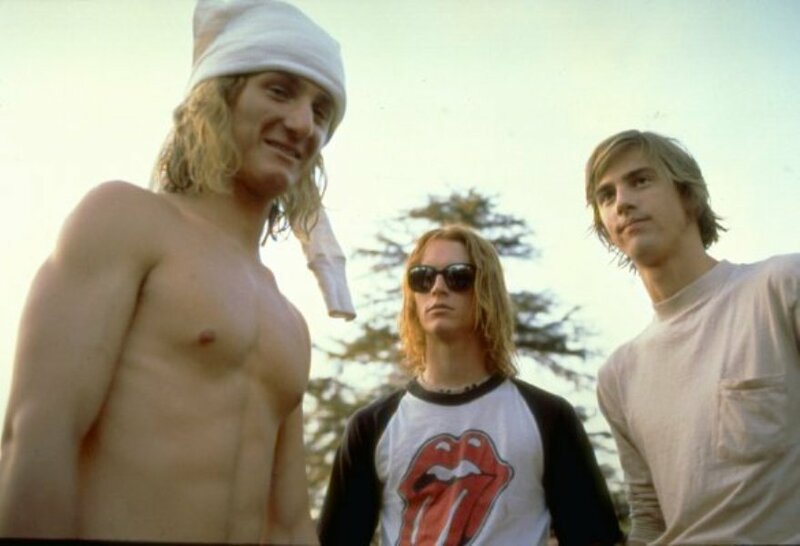 When not concerning itself with these four characters, the film spends time with stoned surfer dude Jeff Spicoli (Sean Penn) and his ongoing feud with history teacher Mr. Hand (Ray Walston). This collector’s edition disc has a beautiful anamorphic transfer in 1.85:1 ratio without any noticeable artifacts, film noise, or grain. Flesh tones and black levels are dead on, and I was surprised and delighted at the quality of the video in this 17-year-old film. The menus are cut with scenes from the movie and spliced in little tidbits when switching from item to item, very nice as well. Unfortunately the sound doesn’t delight. At first I was sure something was wrong but it turned out I was only hearing the Dolby Digital mono track, which in Pro Logic mode or any DSP my receiver was capable of sounded like an AM radio coming out of my center speaker. Turning off any surround effects improved the sound quality, though it was only coming out of my two front main speakers. A shame that the soundtrack of now classic tunes couldn’t have had a better sound.